Everyone likes Mammoth Dunes. It’s hard not to fall for the course at first sight. It is big, laid across stunning terrain and just plain cool. Players come off the 18th green with smiles on their faces having thoroughly enjoyed themselves, often beaming with the pride of posting their best number in years. We don’t blame them. We had the same reaction. Once the afterglow has worn off though, we have noticed an interesting pattern. When asked which course at Sand Valley Resort is their favorite, higher handicappers and casual golfers favor Mammoth. 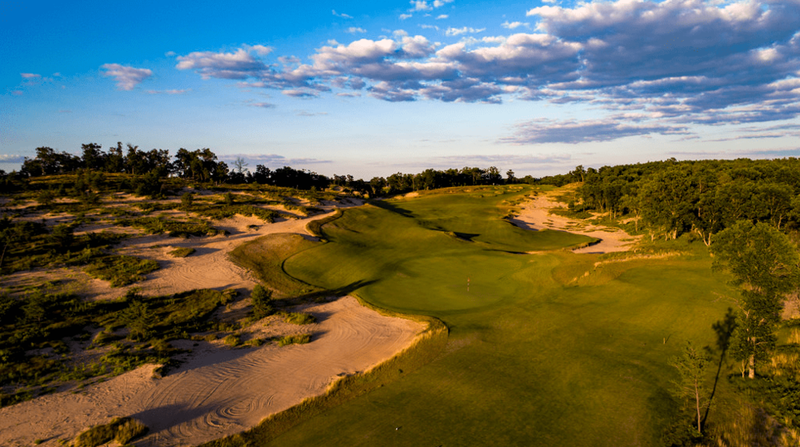 Lower handicappers and architecture nuts favor Sand Valley. This is great news for the resort and the Keisers as they now have lovable offerings for all players. But it does make us wonder, how could it be that a man who was accused in the not-so-distant past of designing courses that are too difficult create one that consistently delights the average player? What is it about Mammoth Dunes that produces that effect?